Supertuff is a prestigious heavyweight 100% continuous filament olefin fibre matting. The market's top seller! 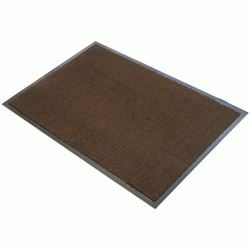 Supertuff absorbs and holds more and dries three times faster than nylon surfaced mats, trapping 95% trafficked dust, wet, etc. Stain and weather resistant. Excellent colour retention. Supertuff meets U.S flammability test standard DOC FF 1-70. 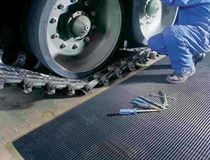 All mats have anti-trip safety edging on all 4 sides.